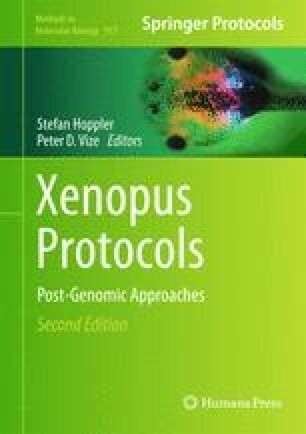 Here we present a protocol for generating transgenic embryos in Xenopus laevis and Xenopus tropicalis. The method includes three steps: (1) The preparation of high-speed egg extracts, which facilitates the replacement of protamines in sperm nuclei with nucleosomes and decondenses the chromatin of sperm nuclei; (2) The isolation of sperm nuclei; and (3) The mixing of sperm nuclei, restriction enzyme, and high-speed extract in vitro, following by nuclear transplantation into unfertilized eggs to generate the transgenic embryos. This procedure generates non-mosaic transgenic embryos at high frequency and efficiency.